Fourth Row Center: Film Writings by Jason Bailey: On DVD: "Peanuts Double Feature: Snoopy Come Home and A Boy Named Charlie Brown"
On DVD: "Peanuts Double Feature: Snoopy Come Home and A Boy Named Charlie Brown"
Paramount and CBS DVD’s new Peanuts Double Feature puts together, at a bargain price, their previously released DVDs of the first two “Peanuts” feature films, A Boy Named Charlie Brown and Snoopy, Come Home. Released to theaters in 1969 and 1972, following the first burst of wildly successful animated Peanuts TV specials (which continued between and after them), the two films cover similar territory, but in noticeably different styles and tones. Both films are presented here in their full, uncut versions. A Boy Named Charlie Brown begins with several blackout-style sketches, comic bits culled (sometimes verbatim) from the original comic strips, and covering territory familiar from those panels: Charlie Brown battling his kite, pitching for his perpetually-losing baseball team, visiting “Dr. Lucy,” and trying to kick the football. His sister Sally appears (briefly) to flirt with Linus; Lucy ponders her future with a clearly uninterested Schroeder. But the script (by the strip’s creator and writer Charles M. Schulz) is more structurally sophisticated than one might think—though those comic bits mostly serve to get laughs or sympathy, they also subtly set up the plot, which then takes over in the second half of the picture. Forever discouraged and depressed (“I just can’t seem to do anything right,” he despairs in his bath, right before his tub boat sinks), Charlie Brown decides, on a whim, to enter the classroom spelling bee. He lucks out and ends up getting all words he knows (like “failure”), so he progresses to the school and then national championship. Linus makes the mistake of giving his security blanket to Charlie Brown as a good luck charm; when Linus finds he can’t live without it, he and Snoopy follow Charlie Brown to the nationals to retrieve it, and cheer him on from the front row. As Linus shivers, shakes, and faints in what amounts to blanket withdrawal, one can’t help but wonder if we should be reading a little something more into this subplot (it was 1969, after all). The notion is dubious, but it wouldn’t be a complete surprise, considering how surprisingly sophisticated A Boy Named Charlie Brown is. Sure, some of the jokes are barely above knock-knock variety (“Anybody who can fly this kite is a genius!” Charlie Brown cries, tossing it away to Snoopy, who of course flies it immediately). But when Charlie Brown announces “I’ve developed a new philosophy: I only dread one day at a time,” that line could be coming from then-young, hip Woody Allen; same goes for the psychiatrist humor (particularly Lucy’s parting shot to her still-miserable patient: “Wait ‘till you get my bill!”). The score is provided, thankfully, by the legendary Vince Guaraldi, who repurposes a few of his cues from the specials and continues their distinctive sound. The songs by Rod McKuen are less successful; most are pretty forgettable, and it just seems wrong (in the first one) to refer to our hero as merely “Charlie.” There is one exception, though, the delightful number in which Charlie Brown, Linus, and Snoopy go over the rules of spelling; it legitimately recalls the “Moses Supposes” scene in Singin’ in the Rain. As the film is basically an extension of the television shows, the animation isn’t much more sophisticated, but (as in those shows) there’s a charm to its simplicity—it’s appropriate to the material. And to their credit, the editors seize on a couple of showcase moments: the Pop Art-inspired pre-game national anthem, the split screen ballgame, Snoopy’s inventive hockey interlude, and the lovely, impressionistic Beethoven song by Schroeder. The character of Snoopy feels a little underused in A Boy Named Charlie Brown; thanks to the decision, made for the original specials, to keep him mute (as opposed to voicing the thought bubbles of the strip), he mostly does Harpo Marx-style takes to the camera, musical accompaniment, and sight gags (there’s a great bit with his retrieval of a glass of water for fainting Linus). However, he moves to center stage in the second Peanuts movie, Snoopy, Come Home, and the result of that shift is a film that plays more like a “kids’ movie”—we’re focused this time on the whimsical beagle rather than his neurotic owner, and the tone follows suit. The film was higher-budgeted than its predecessor and looks it; the animation is a bit more elaborate and striking this time around. Disappointingly, Guaraldi was not engaged for the film; the songs were composed by the Sherman Brothers, and they’re mostly terrible (particularly the maudlin number that introduces Lila). After some introductory business, Snoopy receives a letter, and immediately packs his bag and hits the road. Woodstock (who the credits inform us is being “introduced” in this film) comes with him, and the duo’s road trip has some enjoyable detours—most memorably, with a somewhat obnoxious girl who decides that she’ll adopt the lost pair (“Hey Ma, I got two pets!” she yells. “A sheepdog and a parrot!”). They finally evade her—even employing the old lotsa-doors-in-the-hallway gag—and make their way to Lila, the writer of the letter, while we crosscut to Charlie Brown and the gang missing ol’ Snoop, each of them sure they’re the one that drove him away. Come to find out, no one’s to blame; Lila was Snoopy’s previous owner (“You’ve got a used dog, Charlie Brown,” Linus informs him), and she’s been sick, so her return helped her get healthy again. She badly wants Snoopy to stay with her, so the dog must make a choice: his new owner who loves him, or his old owner who needs him? There is both sweetness and sadness to Snoopy’s dilemma, which is animated beautifully within his simple but expressive facial animation. There’s pathos to spare in Snoopy, Come Home, and more than one armchair psychiatrist has pointed out that the film was released the same year that Schulz’s divorce from his first wife, Joyce Halverson, was finalized. 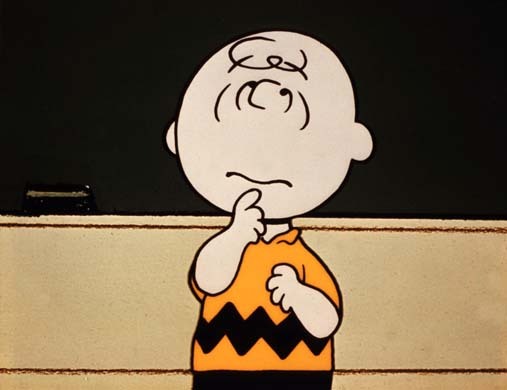 That knowledge can lead to plenty of reading between the writer’s lines, from Snoopy and Charlie Brown’s big fight at the beginning (say what you will, but it feels personal) to Charlie Brown’s sad voice-over at the end. “Why can’t we get all the people in the world together that we really like, and just stay together forever?” he asks. “Someone always leaves.” Later, Lucy suggests getting another dog. “I don’t ever want to go through such an ordeal again,” Charlie Brown insists. And so on. This kind of close-reading for a children’s film may border on silly, but the parallels between the writer’s life and work are fascinating; they lend an additional poignancy to the picture. Both of these early Peanuts efforts have their problems—Snoopy, Come Home is a bit too saccharine, while the lack of adult figures in the specials and films stretches the credibility of A Boy Named Charlie Brown (sure, they’d just send him on that trip by himself). But both pictures are utterly charming anyway, sweet and warm and frequently funny, and their strikingly different approaches to these characters indicates not inconsistency, but the surprising depth and nuance of the Peanuts universe. "Peanuts Double Feature: Snoopy Come Home and A Boy Named Charlie Brown" is available now on DVD. For full A/V details, read this review on DVD Talk.